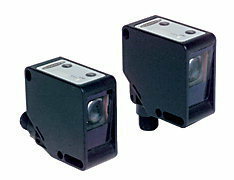 Our company is engaged in offering a comprehensive range of iVu Integrated Vision Sensors. No PC required to configure, change or monitor, Installation and configuration in 4 easy steps, High-speed processing, Intuitive operation with menu driven tools to guide you through setup, Compact, rugged housing available with or without a variety of integrated ring lights, On-board USB port for upload/download to USB drive, Software emulator lets you perfect your application offline. 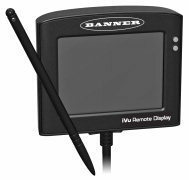 We bring forth a comprehensive range of iVu Remote Vision Sensors. 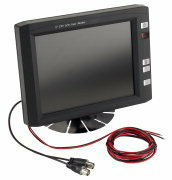 Separate touch screen display mounts remotely from the sensor to allow easy access for setup and monitoring, iVu Remote Display features 3.5" diagonal color LCD flat-panel touch screen with an exceptionally wide viewing angle, iVu Remote Sensors offer high speed processing, No external PC required to configure iVu Remote Sensors, Image processing expertise is not required, iVu Remote Sensors provide USB 2.0 compliant host for easy updating and diagnostics. We bring forth a comprehensive range of Presence plus P4 Series. These includes five models with Locate, Measure, Test, Communications and function-specific vision tools, Delivers high-performance vision inspections in a self-contained housing, Fits in the palm of your hand, Supports nine languages, Communicates over Ethernet, flexible I/O and serial protocols, Features remote TEACH function for inspection changeovers without a PC, Offers 10 to 30V dc supply voltage with software configurable inputs (NPN/PNP) and configurable outputs (NPN/PNP), Connects directly to optional real-time video display, without a PC, Available in standard and high-resolution 1.3 megapixel models, Offered in right-angle or in-line housing styles, Available with a variety of mounting brackets, lenses and lighting accessories. 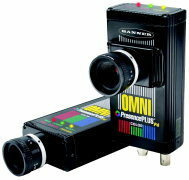 Our company is engaged in offering a comprehensive range of Presence Plus P4 Sealed Omni. 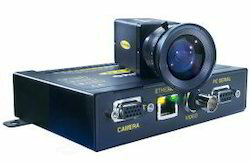 These are featured with Rugged, nickel-plated aluminum, waterproof housing; rated IEC IP68, Features a 640 x 480 CCD imager, Performs inspections up to 2,000 parts per minute (PPM), Choose either lens cover or integrated IP68 Ring Light (sold separately), Direct connectivity to Ether Net/IP and Modbus/TCP industrial standard network protocols with Communications Tools, Standard Presence PLUS P4 I/O—10/100 Ethernet, RS232 Serial, 4 discrete NPN or PNP wires with configurable timing, Includes standard vision tools from the P4 GEO, EDGE and AREA sensors: Locate, Geometric Find, Edge, Object, Blob, Average Grayscale, Geometric Count, Measure. 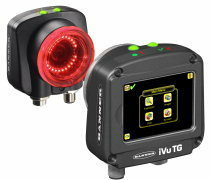 We bring forth a comprehensive range of P4 Color Series Vision Sensors And Vision Lightning. 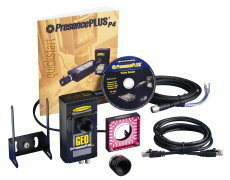 Presence Plus P4 Color Series Vision Sensors And Vision Lightning Overview, Uses the Color Match tool to inspect for specific colors, Combines all P4 OMNI Gray Scale tools: Locate, Geometric Find and Count, Edge, Object, Blob, Average Gray Scale and Measure, Features models with optional Bar Code Reader, Captures images using a 752 x 480 pixel color CMOS imager, Delivers high-performance vision inspections in a self-contained housing, Uses one or more sensing tools for expanded application flexibility and extended sensor usability, Includes remote TEACH, configurable I/Os, live video and communications standard to all Presence PLUS sensors, Offered in right-angle or in-line housing styles and are available with a variety of mounting brackets, lenses and lighting accessories. Our company is engaged in offering a comprehensive range of Presence Plus Pro Color Series. 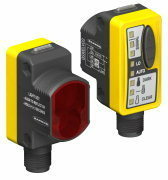 These features compact size for tight locations, Inspects unlimited color variations, Uses separate controller with multiple input/output connections, Includes all the Presence Plus PROII Gray Scale tools: Locate, Pattern Find and Count, Geometric Find and Count, Edge, Object, Blob, Average Gray Scale and Measure, Features models with optional Bar Code Reader, Supports nine languages, Communicates over Ethernet, flexible I/O and serial protocols, Features remote teach function for inspection changeovers without a PC, Offers 10 to 30V dc supply voltage with software configurable inputs (NPN/PNP) and configurable outputs (NPN/PNP), Connects directly to optional real-time video display, without a PC, Available with a variety of mounting brackets, lenses and lighting accessories, Uses the same user-friendly software as other Presence Plus vision sensors. Broad offering of bracket styles makes it easy to install Pro and P4 sensors and Banner lights. Swivel brackets offer greater range of motion for flexibility in mounting. 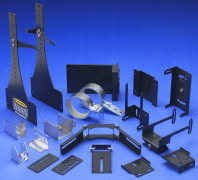 Choices include stainless steel, black corrosion-resistant zinc or black ABS plastic brackets. Brackets are available for attaching two lights to one P4 sensor. Column-mount brackets provide flexible positioning for sensors and lights when used with an adjustable mounting system. Vision power supplies provide power to Banner continuous LED lights or PresencePLUS vision sensors. The PS2V-12 variable power supply provides 12V dc power to two Banner continuous LED lights. The PSA-12 power supply provides 12V dc power to one Banner continuous LED light. 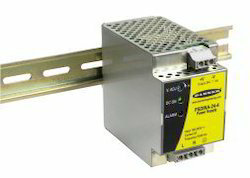 The PSA-24 power supply provides 24V dc power to one Banner continuous LED light. The PSDINA-24 DIN-mountable power supply converts 115/230V ac voltage to 24V dc for powering dc sensors or lights. 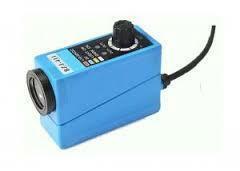 Banking on our enriched industry experience, we are able to supply RGB Color Sensor. 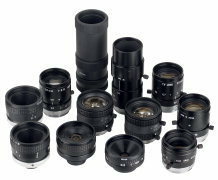 Our company is engaged in offering a comprehensive range of Presence Plus Pro Series. 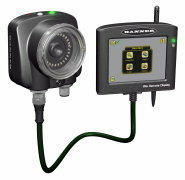 These features compact size for tight locations, Delivers high-performance vision inspections in a two-piece housing, Includes all the Presence PLUS Gray Scale tools: Locate, Pattern Find and Count, Geometric Find and Count, Edge, Object, Blob, Average Gray Scale and Measure, Features models with optional Bar Code Reader, Supports nine languages, Communicates over Ethernet, flexible I/O and serial protocols, Features remote TEACH function for inspection changeovers without a PC, Offers 10 to 30V dc supply voltage with software configurable inputs (NPN/PNP) and configurable outputs (NPN/PNP), Connects directly to optional real-time video display, without a PC, Available with a variety of mounting brackets, lenses and lighting accessories. Looking for Vision Sensors and Vision Lightning ?